One of the things about the JET programme that separates it from other teach-abroad organizations is that when you go, you go very well prepared. Each consulate handles its own departure guidelines, but I understand that most of them hold a number of events to help you prepare. Toronto JETs had the luxury of multiple Q&A sessions, a Japanese crash course, a 3-day pre-departure seminar, and a final pre-departure orientation, all before leaving Toronto! I lost out, as my hometown was more than three hours flight from Toronto, and I couldn't possibly hope to take advantage of anything but the final orientation. Luckily for me, on arrival, we spent three days in Tokyo doing yet more seminars, lectures and being fed more information than we could possibly hope to retain. 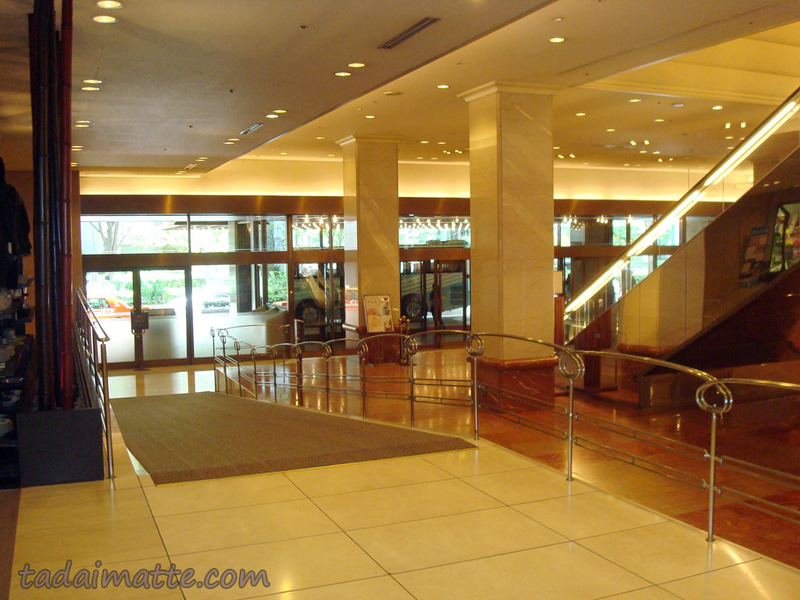 The Keio Plaza Hotel is a gorgeous, high-class hotel in the heart of Shinjuku. I'd like to tell you that I had the time of my life at Tokyo Orientation, which is regarded by many JETs as a free vacation in the capital. Not so much for me - I was so jet-lagged I barely remember a thing. I can't sleep sitting up, so the 13 hours from Toronto to Tokyo was pretty difficult. 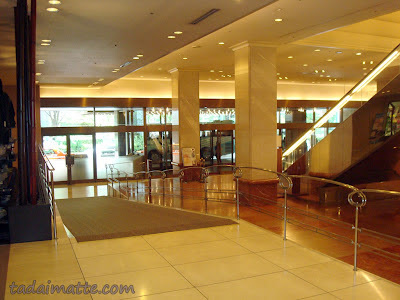 In Tokyo I roomed with a girl who was on her way to Chiba prefecture, but we hardly saw each other. I could not sleep on arrival, so I fell asleep in the assembly the following morning (! ), so got permission to skip afternoon lectures to return to bed (!! ), where, of course, I still could not sleep. I went for a walk before dinner and got pretty thoroughly lost in Shinjuku. That night I passed on a nomihoudai (all you can drink) with the other Osaka JETs so that I could rest....but, of course, I couldn't...guess who ended up nodding off in lectures the following day as well. I think my combined total for the entire weekend up until then was less than 5 hours of sleep. My internal clock just could not get in sync with Tokyo's. I had to pass on a Canadian embassy welcoming event that evening. I caught an hour's nap, decided to cut my losses and went to Krispy Kreme. This was clearly the best idea I could have ever had - I got a full night's rest for the first time since I'd arrived in Japan.